The Randles Lab in Duke’s Biomedical Engineering department focuses on developing a computational tool to guide cardiovascular surgeries in order to improve patient care. Their current project uses 2D medical imaging data to create a 3D computational model of a patient’s vascular topology. From there, factors of clinical importance may be derived from the 3D simulation of a patient’s blood flow. In order to use the 3D hemodynamics simulation, 3D mesh files need to be created from the 2D medical imaging data. 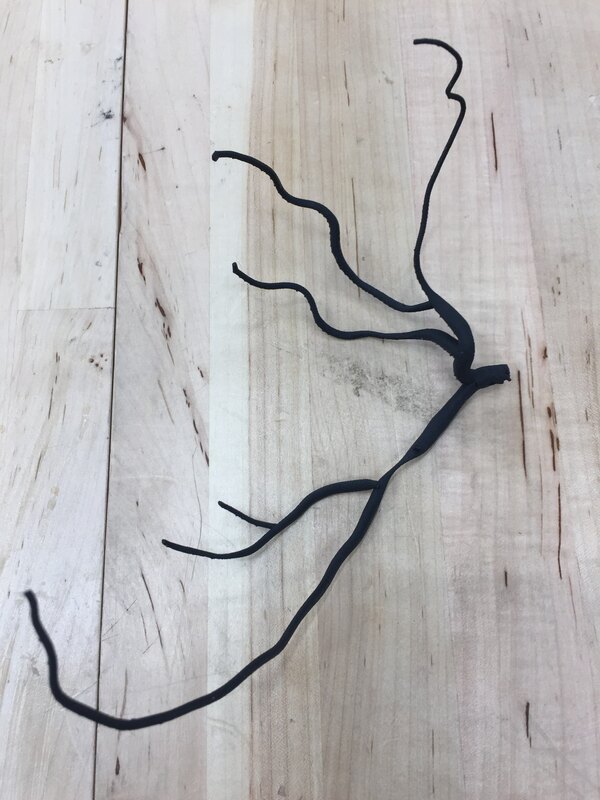 As a visualization tool, Dr. Randles, postdoctoral scholar John Gounley, and PhD student Madhurima Vardham sought to create a 3D printed visual aid showing the reconstructed 3D mesh. 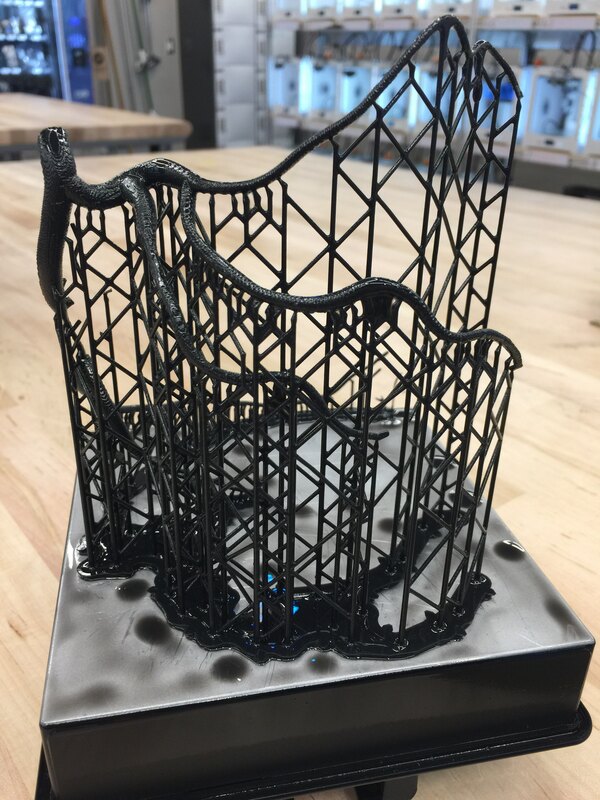 From the perspective of generating a 3D visualization aid, one of the challenges that they faced was the exchangeability of different mesh formats, especially to those typically used for 3D printing. Additionally, they encountered challenges obtaining accurate geometric reconstructions of complex arterial models. 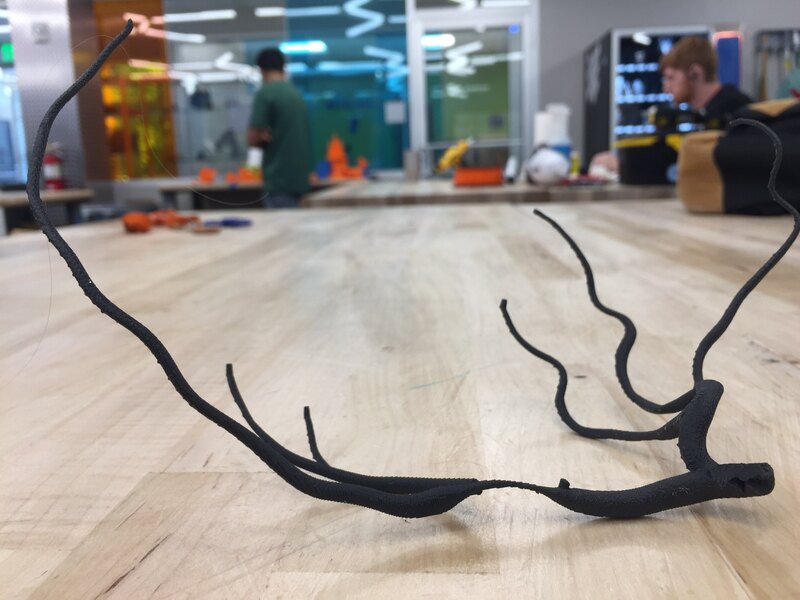 Co-Lab engineers, Andrea Rossman and Richi Chen were able to provide insight and help overcome several roadblocks by suggesting different mesh formats, 3D print material and color options. They brainstormed ideas for creating a model that was sturdy and transportable, scalable to size that could be visualized during a talk in a large room, and accurate in geometric detail. With knowledge on the capabilities and advantages between the J750 printer and stereolithography technology, they were able to test high precision 3D printing strategies to optimize the model for the best print. The 3D printed model was used at the Biomedical Engineering Society Annual Meeting earlier this year. Gounley underscores that since the project focuses on building a 3D model from a set of 2D images, it was very helpful to have a tangible representation of the 3D mesh to present. This allowed them to more effectively explain the project hypothesis to people from very different fields and backgrounds, from clinical physicians to computational engineers, a constant and central concern in a research field as interdisciplinary as biomedical engineering. This entry was posted on Thursday, January 4th, 2018 at 5:40 pm	and is filed under News. You can follow any responses to this entry through the RSS 2.0 feed. Both comments and pings are currently closed.